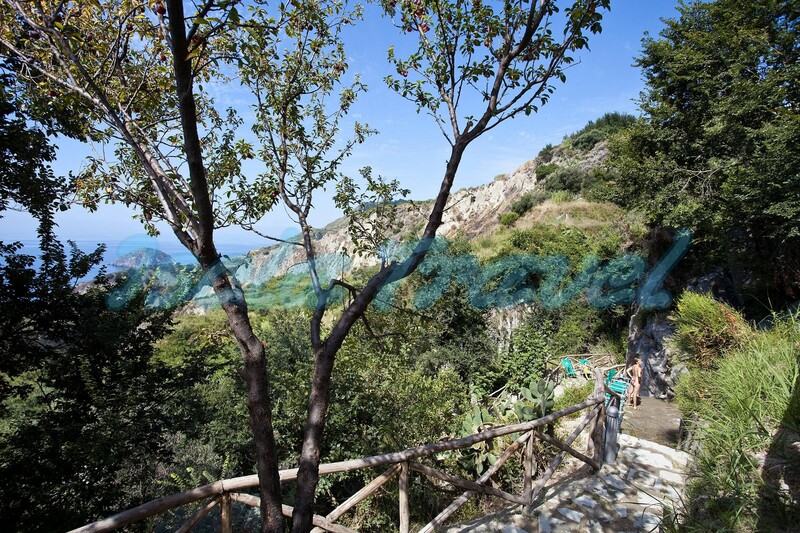 Ischia is very famous for its natural hot springs among which the most famous is Sorgeto. 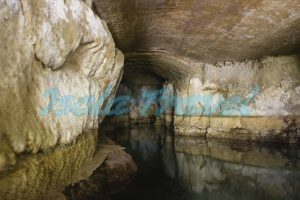 Here you can find a variety of natural pools with heated sea water thanks to the Ischia’s underground volcano activity. After bathing one can sunbathe on the local beach in a breathtaking cove. Sorgeto is a natural phenomenon and the entrance here is free of charge. You can also bring food with you and cook it in the hot sand or in some little basin with boiling water! The islanders usually cook eggs, potatoes and seafood here. It is simple to reach Sorgeto from the centre of Panza on foot or by car. 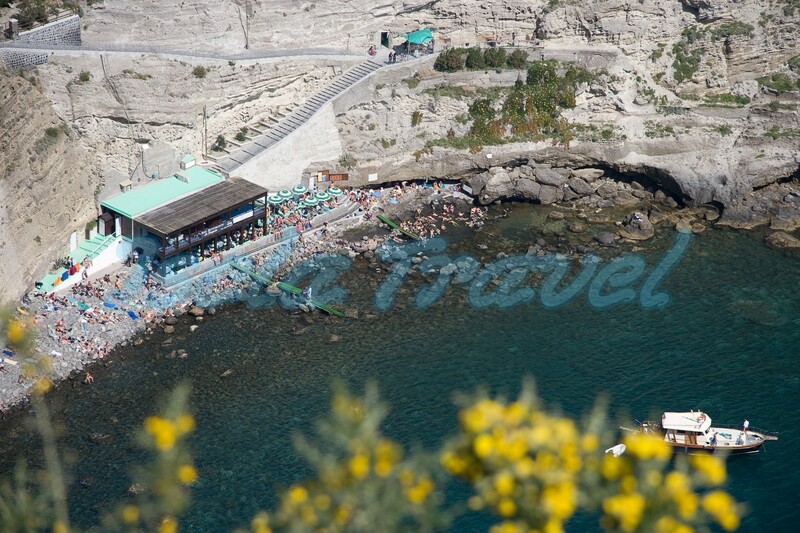 If you decide to visit Sant’Angelo first you can take a boat taxi from there. The best way to enjoy this natural thermal spring it to come here late in the evening or at night so you could relax in this natural jacuzzi watching the unforgettable sunset and looking at the stars. The local restaurant is opened till night so can have lunch or dinner without leaving this magnificent place. Cavascura’s thermae are natural springs known since the Greek colonization of the Ischia island but only in the Roman period they became famous. It is a natural hydrological basin excavated in the rock of a valley. 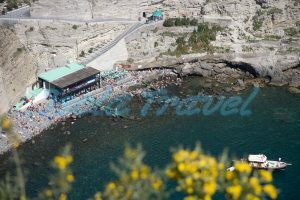 Here you can find the variety of grottoes and showers with their different temperatures and then sunbathe on the sun-deckof the complex. In Cavascura one can relive the ancient times because it still preserved in its caves, its small waterfall, its hot springs that fall down from the mountain at a very high temperature. It is located at about 300 meters distance from the Maronti beach and is accessed by a hot water streamlet that is opened between the tuff walls of the hill. Il will take you 5 min to get there. The Source of the Nitrodis Nymphs is located in a place of rare harmony and great beauty, all these elements favour a pleasant stay in the Park for your body and spirit and at the same time it offers the opportunity to benefit from the therapeutic capacities of thermal waters that flow directly from the depth of the rock. This therapeutic capacities are scientifically recognized and known all over the world for over two millennia. The Water of Nitrodi is famous since the Roman age. In fact, there was a small sanctuary dedicated to Apollo and the Nymphs called “Nitrodis” who were custodians of the Source. Sick people used to come here to bathe and to drink its benefitial water. The water of Nitrodi is rich with outstanding therapeutic capabilities. This water is qualified as mineral (it has bicarbonate – sulphate and alkaline – earthy) and also hypothermal. Among the main components of the Nitrodi water there are: sodium, calcium, Chlorine, sulphur and carbon. The exclusive historical and archaeological documentation of this consists of a series of votive plates (now preserved at the Archaeological Museum of Naples) dedicated to the Nymphs and to the God by doctors and patients as a sign of gratitude for the regenerated health. Many people arrive here to cure rheumatism. The Nitrodi spring is situated in Buonopane, in Barano. One can reach it by bus lines CD and CS or by bus line 11 from Maronti that takes you to the bridge located a few minutes walk only from the spring.